For most of its 100 year storied existence, Atherton Baptist Homes has been an Alhambra institution with senior living and superior care for all levels of retirement ranging from independent, to assisted, to skilled nursing and rehabilitative care. A century ago, Hannah Atherton Baldwin brought a proposal to the Southern California Baptist Convention that they construct a home for retired ministers and missionaries and the “lay” community. She sweetened her suggestion with a large incentive, a $40,000 donation, equivalent to a $1 million gift today! The first location in Burbank proved unsuitable and Atherton moved to its present home just off Atlantic Blvd. in Alhambra in the 1920s with the purchase of 1.7 acres. Before long the campus was expanding with cottages and apartments. “Since then, we have grown from less than two acres to almost fifteen by purchasing existing properties and renovating or rebuilding houses one at a time,” said President and CEO the Reverend Craig Statton. During its first 50 years, residents mostly came from the ranks of retired ministers and missionaries in Southern California. Since then the community has opened its doors to lay people, expanding its reach and welcome considerably. As Alhambra’s ethnic composition has changed, becoming more Asian and Hispanic, Atherton was quick to embrace the changes in the surrounding community. Today the Atherton team serves an increasingly diverse population with employees and residents originally hailing from such distant places as China, Japan, Central America, and the Philippines. While services are provided in English, one visiting the campus today can hear echoes of Spanish, Mandarin, Japanese, and Tagalog. Those coming to the campus for the first time often comment on happy diversity of ethnicities, still relatively uncommon for communities such as Atherton. The stories of the lives of residents are as diverse as their cultures. One resident was a former optics engineer who founded a Pasadena tech company. NASA tapped his organization to provide software to help fix the Hubble telescope after its initial launch. Ministers living at Atherton have served as seminary presidents and tenured professors, one recently publishing his 18th book. Missionaries have served around the globe, one located a mere 10 miles from the demilitarized zone, helping children in a Korean orphanage. Another was a former diplomat, one of the initial architects of the Peace Corps, member of the NSA, and advisor to five U.S. Presidents. The continuing care retirement community model offers residents who are at least 60 years of age options for varieties of living situations in independent, assisted, and skilled nursing care on a single convenient campus. Atherton even pioneered a social model for those experiencing early to mid-stage dementia, providing a home-like setting with 24 hour/day caregiving as an alternative to the more institutional feel of skilled nursing. Atherton boasts core competencies in customizable options, residential choices, quality staff, diverse activities, and making it all available with the warm and inviting ambiance of a tree-lined neighborhood. Residents enjoy the warmly inclusive environment, commitment to shared core values, commitment to continuous improvement in technology, infrastructure, and development, and a commitment to helping each resident maintain the highest degree of community participation and interaction. Throughout the year, Atherton residents participate in numerous volunteer programs, including local churches, reading programs with local elementary school children, and offering developmentally delayed high school students an opportunity to interact with seniors. Another highlight of the community features off campus trips and outings, including Hawaii and Alaska cruises, and international trips to places such as Ireland, Israel, and the Greek Islands hosted annually for the residents. For many years, Atherton has featured seminars for the community on various aspects of aging from financial issues to health related concerns. Alhambra residents often express appreciation for the annual Fall Festival, the last one taking place in October, where visitors were delighted by ethnic foods, a petting zoo, games for children, tours of the grounds, live entertainment, train rides, and a silent auction. “With different backgrounds, faiths, and cultures, Atherton is a community founded to help make the most of the best years of our residents’ lives,” Statton observed. Atherton Baptist Homes is located at 214 S. Atlantic Blvd., Alhambra. To learn more, visit them online at www.abh.org. 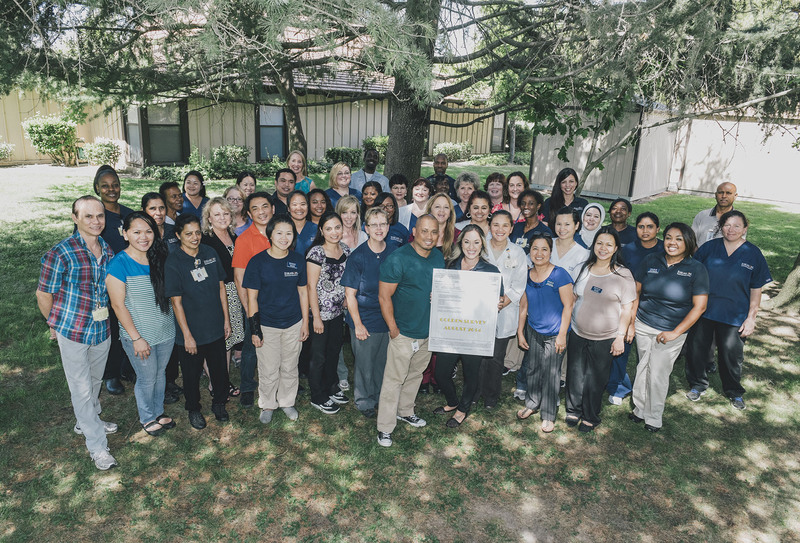 Sacramento, CA – Eskaton Care Center Greenhaven receives perfect score on recent California Department of Public Health (CDPH) survey at its 148 bed community. The survey process reports deficiencies that health surveyors find at nursing homes. 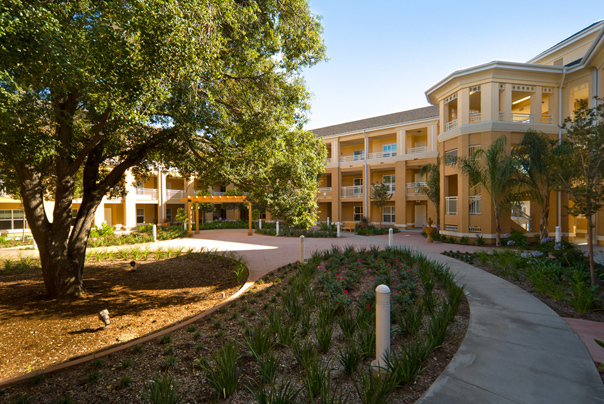 “Greenhaven is one of 3% of skilled nursing facilities in California to receive zero deficiencies, also known as a ‘Golden Survey’,” says Betsy Donovan, Chief Operating Officer of Eskaton. The statewide average in 2013 was 9.1 deficiencies per survey. Greenhaven’s Executive Director Heather Craig says, “A big contribution is the longevity of the team and how they are always looking to make things better.” Craig has been in the industry for over 21 years and the executive director at Greenhaven for ten years. This is her third zero deficiency survey in her career. “The team work approach allows the entire building to work together,” says Craig. “Staff longevity means seasoned staff can mentor new comers and create a very tight and consistent culture,” continues Donovan. Surveys are performed at nursing homes every 6-15 months by CDPH. The deficiencies found can range from kitchen sanitation to more serious problems that require a civil penalty citation. If a deficiency is received, a nursing home must submit a written plan of correction. Some details from the CDPH survey are reported to the Centers for Medicare & Medicaid Services (CMS) for use in its Five Star rating on medicare.gov. CMS uses the Five Star rating as a baseline consistent across the US while CDPH focuses on what specifically needs to happen in nursing homes for licensing in California. “The Five Star rating puts all skilled nursing facilities on the same scale,” explains Donovan. “However, the Five Star rating alone doesn’t tell the entire story.” Greenhaven currently is listed with five stars on the medicare.gov website.